Last friday my wife came home with lamb chops and some fresh vegetables from the market. The weather was beautiful and we wanted to combine a bike ride with some BBQ fun. Since we’d been in France the week before it wasn’t hard to figure out how to make the lamb chops. For the eggplant on the other hand I wanted something different. 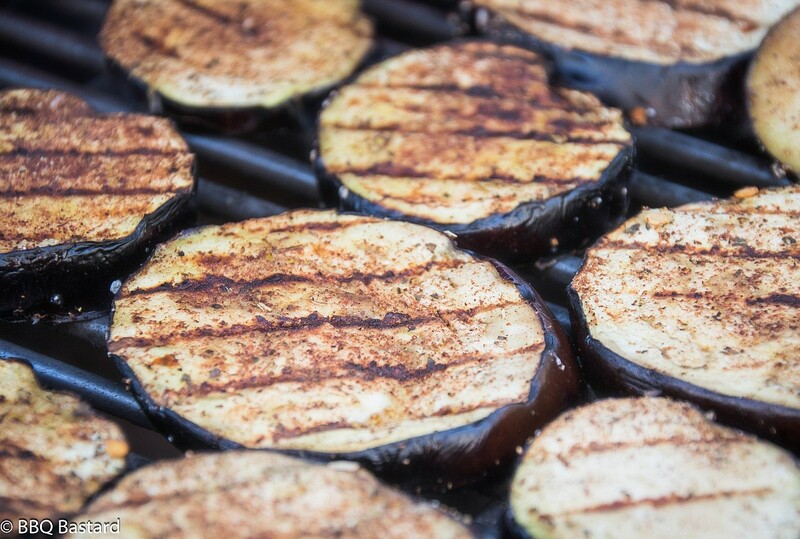 I had been reading about the combination with five spice and started experimenting for this Grilled Middle Eastern Eggplant that would serve as a delicious side. As mentioned before these eggplants were cured with a homemade dry rub based on the oriental 5 spice powder. Besides the 5 spice I added some other spices since the Middle East is known for it’s rich culture concerning spices. I tried to use some traditional flavours. Since I’m not an expert on this part of cooking I hope I’m right here. When I grill eggplant I start by slicing them and sprinkle some salt on top. Then I wait for a minute or then. This way the salt absorbs the juice and brings the eggplant some delicious taste. Afterwards I pat them dry, sprinkle them with some oil and add some of the spices. Then I grill them for a minute or 3 each side until you got some nice searing. Not hard to handle at all but delicious and good looking. Yes I’m cheesy so here I go: “Just like my wife”. For those who can’t handle the cheesy stuff: I had to score points after I asked her advice and ignored it… But still the truth what I’m saying here. Look at these… These grilled Middle Eastern eggplant slices were delicious with the cauliflower rice and Provencal lamb chops. What would you eat them with? I hope to read about it in comments below. If you like these recipes I hope you help me promote them by sharing on the net. Have fun! 1. Prepare your grill for direct cooking over hot fire (+- 250°C/480°F). 2. 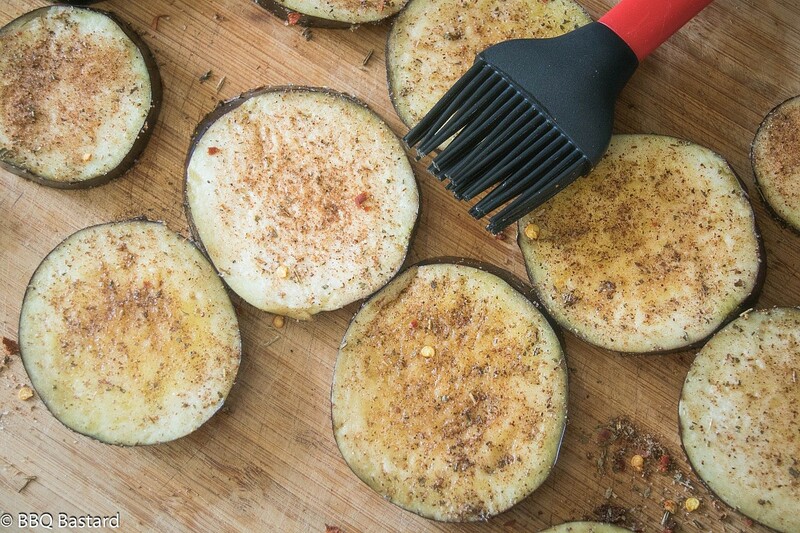 Slice the eggplant and sprinkle some salt on the top. Wait for about 10 min. until you see the juices pearl on top of them. 3. Pat the slices dry and oil them slightly. 4. Add the spice mix (at taste) and rub it in the eggplant slices. Now you're ready to grill.